I came across this book by accident, and I am so glad I did. Rosalind is a quick read, not only because of it's length, but it is also hard to put down. Beautifully written, the author weaves a tale that is fascinating as it is sensual. And I learned a few new words along the way. 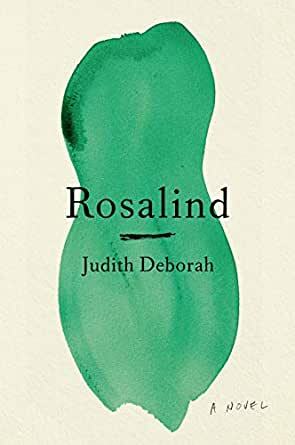 Rosalind is a love story that stands out from the many I have read lately, and one that kept me pondering until the very end. I've never been to New York, but felt every drop of rain, every slippery sidewalk, and the richly written characters are a credit to the author. An absolute joy to read until the author had me in tears, and impossible to put down after the mid-point, even during scenes I might be tempted to skip in the hands of a lesser writer. I thought I knew where Judith Deborah was going with this, but nope. The ending—the whole story, really—is unforgettable. 5.0 out of 5 starsWow! Read this book! This is a beautifully written, evocative love story that will draw you in, pull you through and keep you up at night. I would call it literary fiction and I would also call it top-drawer. Rosalind will haunt your dreams. It's that good. A poignant love story with an unexpected twist that brought me to tears. Loved the story's quick pace and the edgy and witty writing with descriptions that pull you in with vivid details.